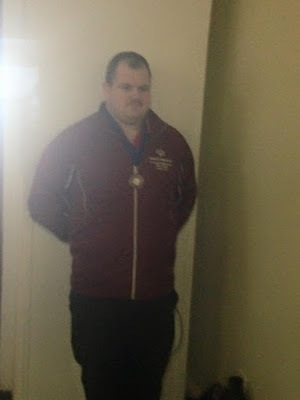 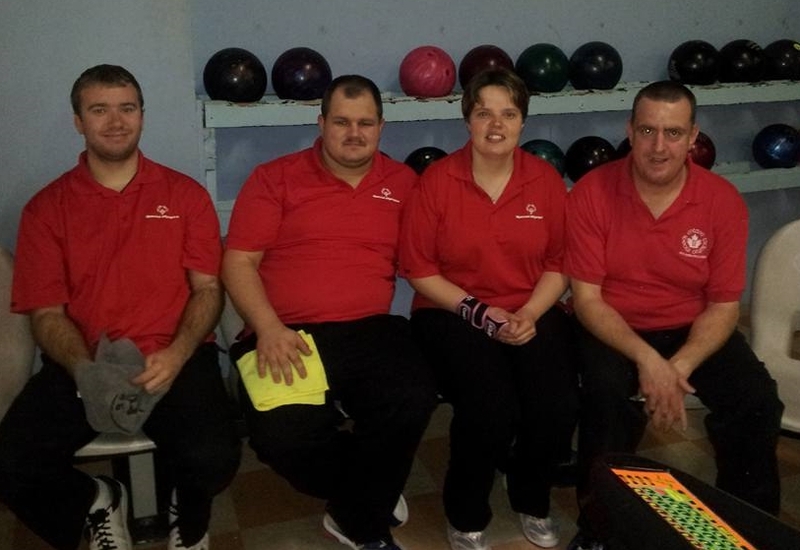 CONGRATULATIONS to Mike Brioux, one of our veteran Kawartha Komets Special Needs Hockey Program Seniors on picking up a bronze medal in 10 Pin Bowling at a recent Special Olympics Tournament in Kingston. We're proud of you, Mike. Mike (2nd from left) is pictured with his girlfriend Crystal Cochrane and two other Kawartha Komets players, Brandon Allen (Vansickle)(left) and Jesse Campbell.